Imagine this scenario: Two cars collide in your parking lot. Their problem, right? Not necessarily. Talk to your insurance agent. 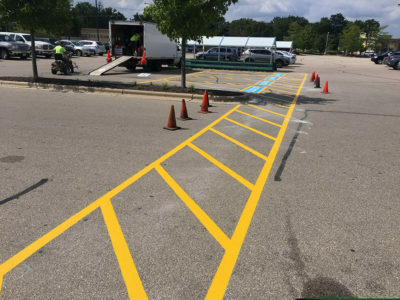 Businesses like yours have been sued and held liable because drivers argued that the line striping wasn’t readable. 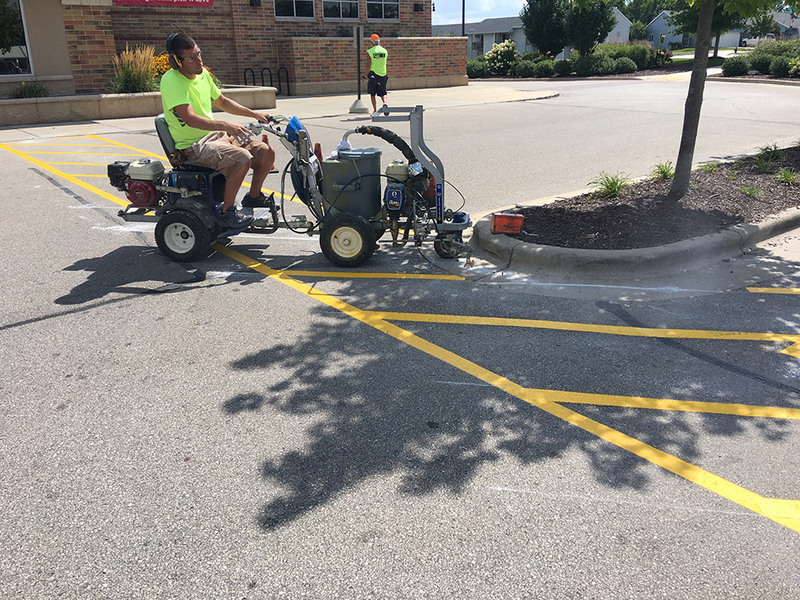 Keeping your line striping fresh and clear lets your customers know you care. And it helps to keep drivers, passengers, and pedestrians safe. 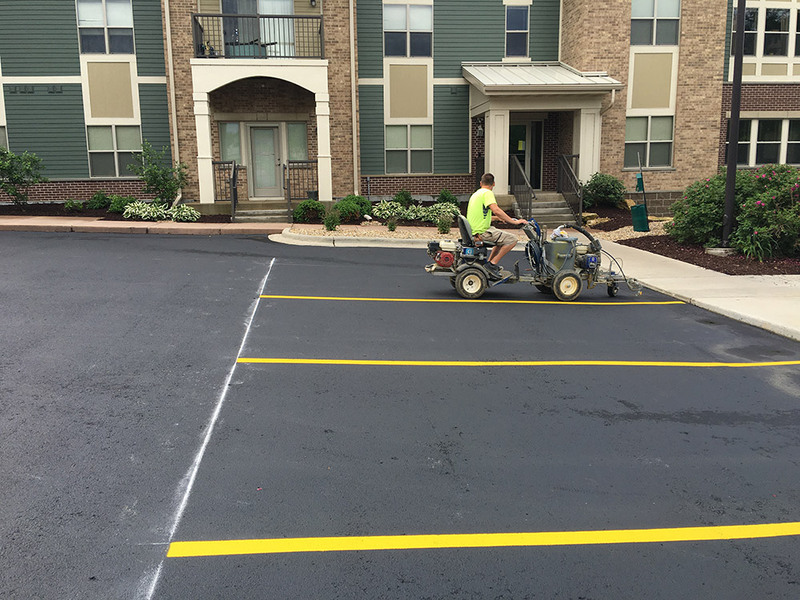 Re-striping your lot should be done every time after crack filling and seal coating, and, depending on your situation, more often. Lettering, arrows, drive lanes, parking, etc. Remember, your traffic marking is only as good as the seal coat it rests on. 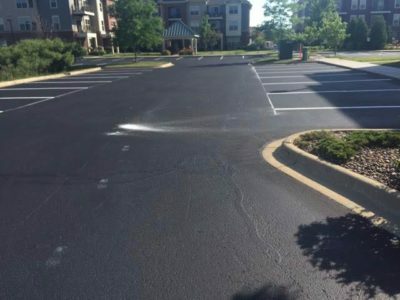 For best results, let Hallman Asphalt & Sealing take care of your crack filling and seal coating. We use only top quality acrylic paint for superior, easy to see, lasting results. 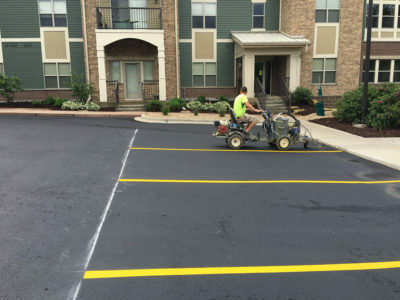 “The parking lot looks great and as your estimate says ‘our lines are extremely straight’ is true. …Thank you.” ~ Brian H.
We Keep Your Business Open! Downtime hurts your bottom line. That’s why we do everything we can to keep your business open. If we need to do the project in phases, no problem. If we need to work nights and weekends, no problem. 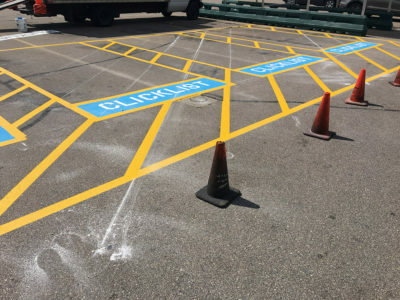 If you need to maintain access to your building for emergency vehicles, we work with you to make sure that’s handled correctly. Yes, we do line striping. But we also take care of all your parking lot or driveway needs including seal coating, crack filling, patch work, pothole repair, asphalt paving, base work, concrete repair and replacement. 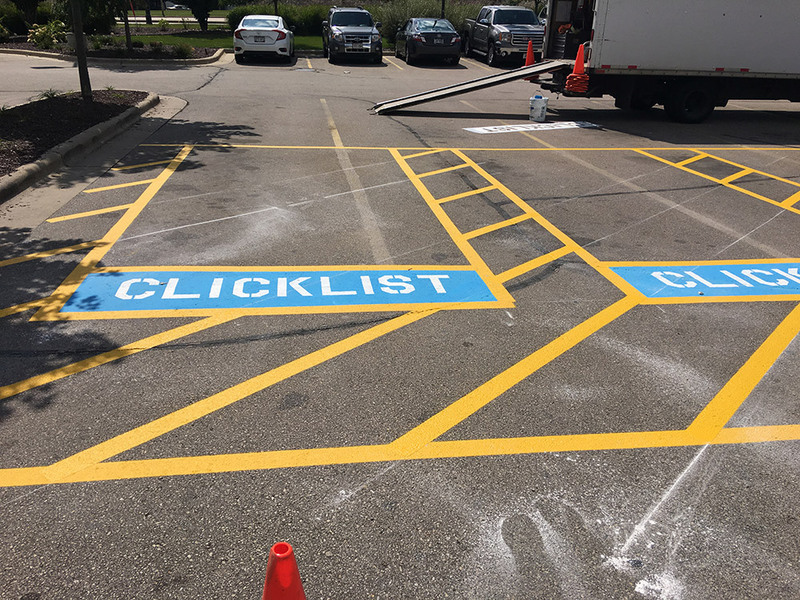 And we’re in the “Goldilocks zone”—just the right size—big enough to tackle any job, small enough to take you seriously and show that we care.